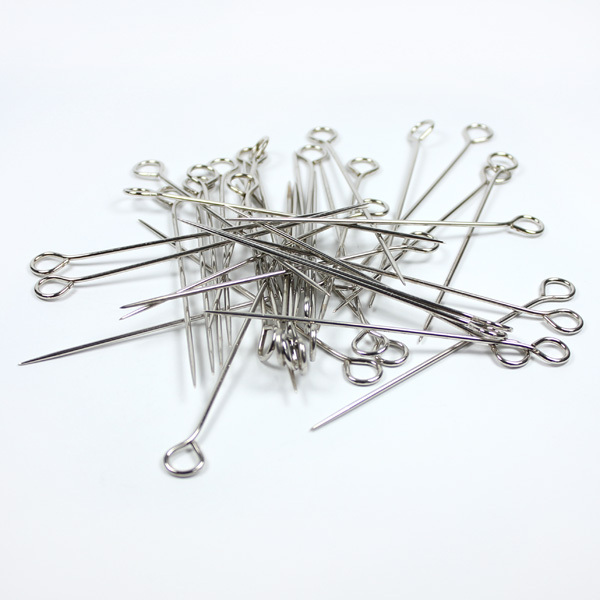 Nickel plated steel upholstery skewers, also known as upholsterers pins. Used for holding and tensioning upholstery fabric in place ready for tacking or stitching. The skewers are sold in batches of 36, 72 and 144. The skewers are 7.6cm (3 inches) long.